First, be on guard against believing your own experience. When in turbulence, it is easy lose your ability to tell the difference between reality and imagination. The reality is that the plane is shaking. But when you zip up a jacket, the zipper does the same thing. The plane is like the metal piece you hold in your hand and move up or down to zip or unzip. As you move it, it HAS to ‘feel’ those little things it is encountering to do its job. The faster you zip, the faster the little bumps as the zipper thingy fastens, or unfastens, the hooking pieces on either side. It ‘feels’ the ripples, as it does its work. The plane, likewise, has to ‘feel’ those little puffs off air that are present at times. When I say little puffs of air (up or down), I mean exactly that. Just little puffs. But you are going so very, very fast that when you meet them that they jar the plane. Just as the zipper thingy is built to handle the stress of pulling together, or separating, the matching pieces off the zipper, the plane pushes through the air, separating the air as it first touches it, and zipping it back together as it leaves that air. So, try this: conceive of the airplane as if it is a sort of zipper that, instead of JUST opening the matching pieces as it zips down, it opens them as it approaches them, and closes them as it leaves them behind. Have you had a zipper with an imperfection in one of the matching pieces? If so, you know that when the zipper thingy ran into the imperfection, it caused a bump. But it didn’t damage the zipper thingy. The plane is built to handle those bumps, like your zipper thingy, without being in any way affected by it — other than to feel the imperfections as it passes them. So, I would just suggest you follow the airplane’s lead and not care whether there is turbulence or not. The airplane is just a zipper that separates the air as it runs into it, and closes the air behind it as it leaves. And if the matching pieces have imperfections, it simply doesn’t matter to the plane. There is a bump, but it means nothing whatsoever. So think of three possibilities: 1. the smoothness of a Ziploc bag; 2. the rumble of a zipper opening and closing your jacket; and 3. the same thing but with some bumps in the zipper material. Why? Because air is, indeed, sometimes as smooth as zipping a Zipoc bag. Sometimes there are ripples like the ripples and vibrations on the zipper of your jacket. Sometimes it has ripples and bumps. 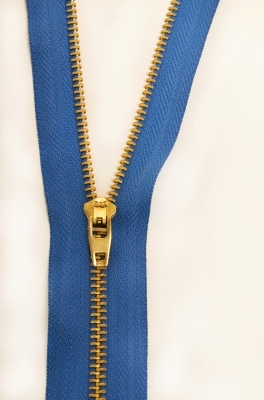 Whichever way it is, it will not break the piece of the zipper that — like your airplane — moves.